"Mrs. Reck, you are the funniest teacher I've ever had!" This was music to my ears this week because I love to laugh myself. I'm so glad that I've been able to tickle someone's funny bone enough for them to don me with the title, "Funniest Teacher Ever"! Being told you are funny by a first grader is a little different than being told that by one of my eighth grade literature students. None of them have claimed me to be their funniest teacher ever. Hmmmm...Maybe I'm not so funny after all! I do like to laugh and do so often with my classes. 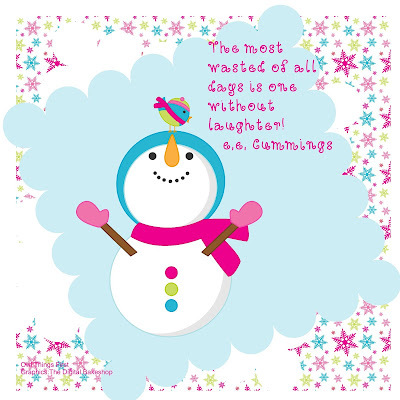 Laughter is medicine for the soul. Once I have gained my students respect, they usually don't misbehave when I'm laughing and smiling with them. I started smiling the first day of school and haven't stopped. I've come to school some days with a heavy heart or worried spirit, but I don't dump it on my students! I remember one day apologizing to my class. I felt that my rough morning at home was showing through! I was crabby and short-tempered. They claimed to have not noticed and showered me with praise...Which we all need from time to time! I hope these following direction activities make you laugh, or at least smile! 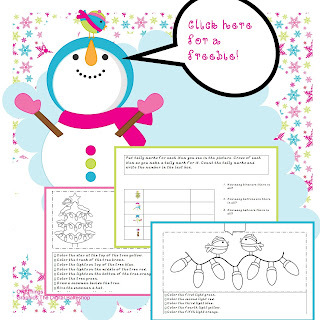 I'm having a great time putting together winterish activities to start using next week. I hope you can find something here to use, too! I'm still looking for people to pay it forward to! It is really easy and fun. Click HERE to get more info and let me know you'd like to participate! 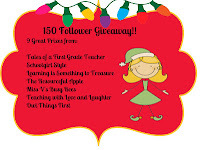 Don't forget to enter Jessica's Giveaway! She 's offering some great prizes!